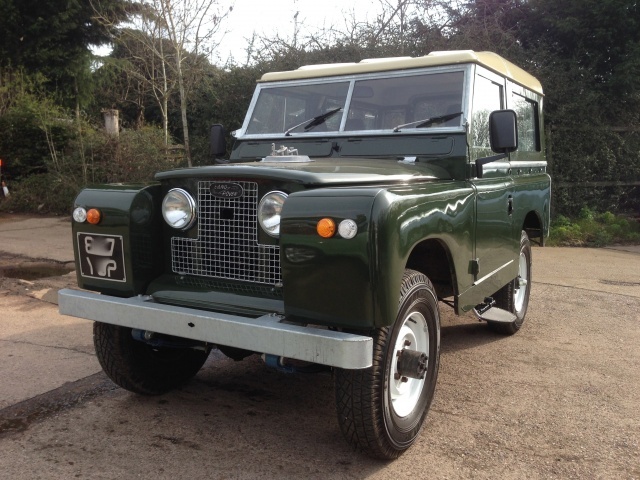 This is a 1961 Land Rover Series 2a SWB that we restored and included a 3.5 V8 engine with automatic gearbox which made it a real "wolf in sheep's clothing" to coin a phrase. 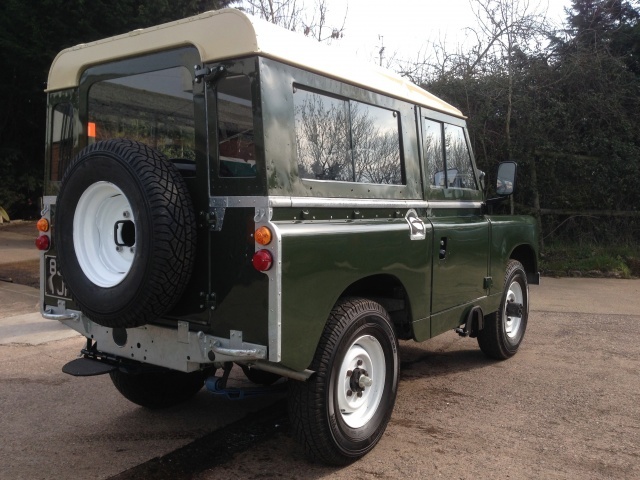 A new galvanised chassis was fitted and the bulkhead was the original that we refurbished with new footwells and door posts then galvanised for longevity. 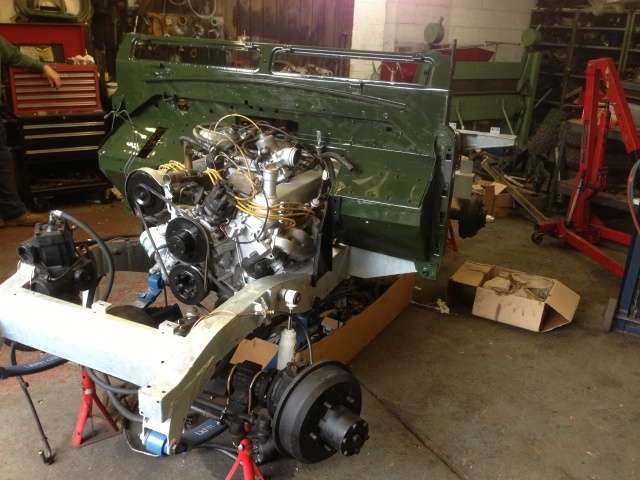 The engine was reconditioned and upgraded to be balanced and lightened to give smooth strong performance. 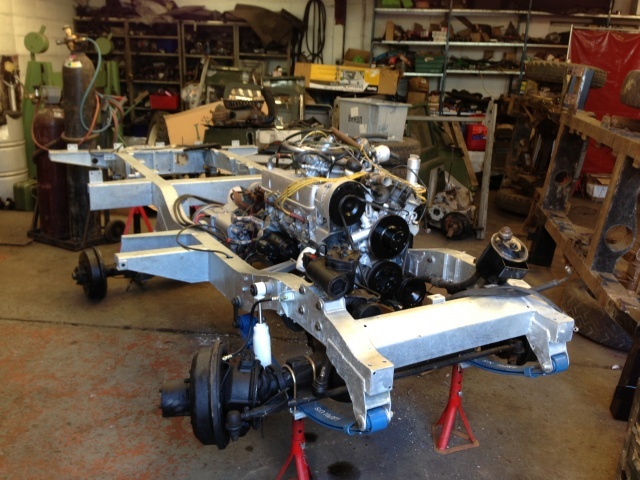 The gearbox was checked and required no work as it was already in great condition, the transfer box was adapted to retain selectable 4 wheel drive and low range. All other mechanical items were reconditioned or new. 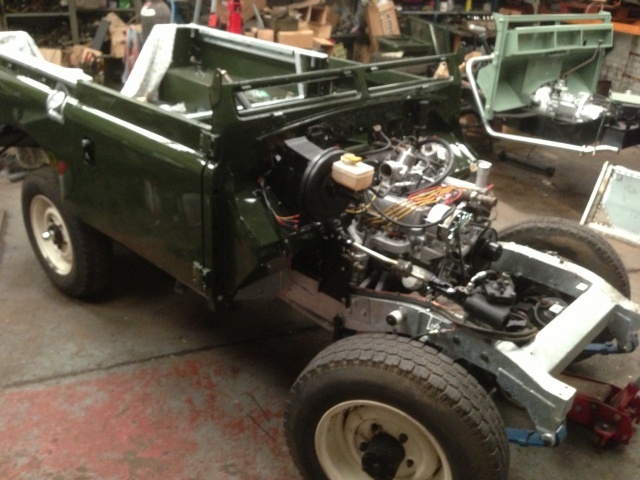 Suspension was upgraded to parabolic leaf springs for improved ride comfort and handling. 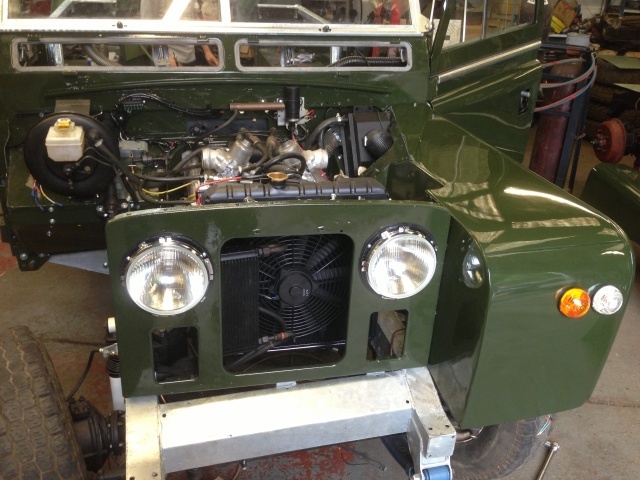 The bodywork was re-sprayed in traditional Bronze Green and the body cappings and windscreen frame re-galvanised to give an as new appearance. 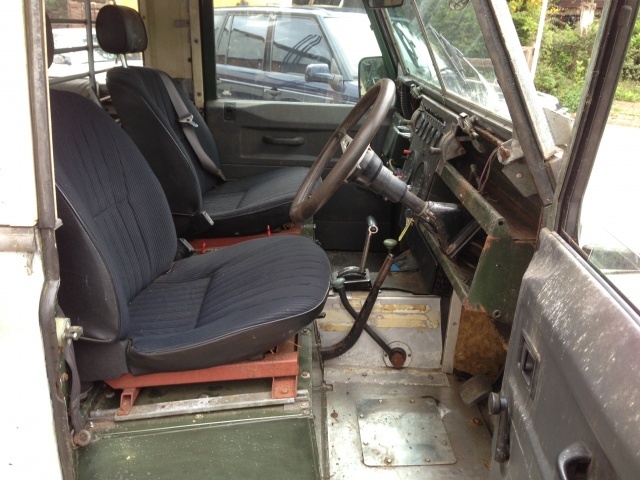 Interior was upgraded with Defender seats in black leather with the centre bulkhead lowered to increase seat adjustment. 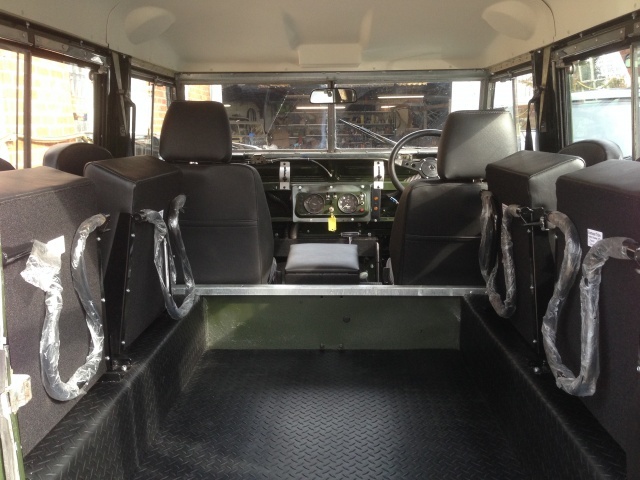 Also a full GRP headlining and soundproofing kit was fitted to improve refinement. 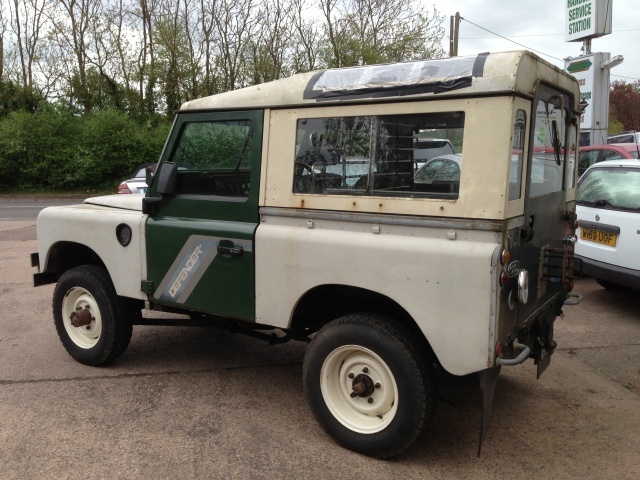 The end result is a standard looking classic Series 2a Land Rover but with approximately 200 BHP! !